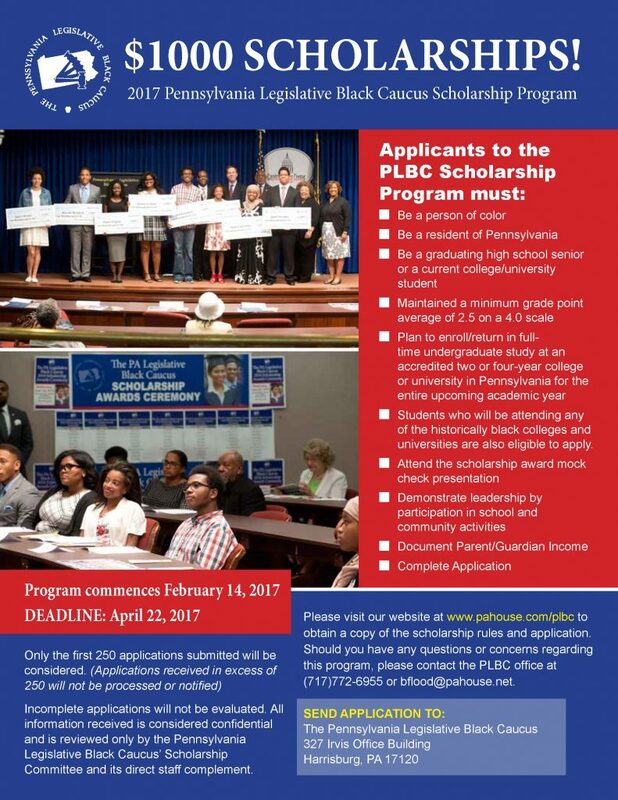 HARRISBURG, Feb. 14 – State Rep. Jordan Harris, D-Phila., chairman of the Pennsylvania Legislative Black Caucus, has announced the PLBC’s annual scholarship competition is open for the 2017-18 school year. 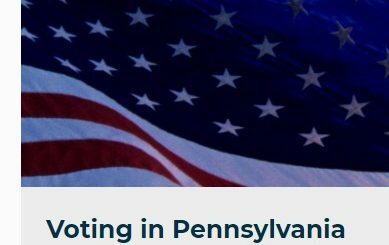 The scholarships are available for high school seniors and first-year college students who will be enrolled in an accredited two- or four-year Pennsylvania college or university. Harris said the students applying for the scholarship must be a minority student, have a minimum grade-point average of 2.5 on a 4.0 scale, and demonstrate leadership qualities. A 250-word essay on the student’s academic plans and career goals and a 250-word essay on why the applicant admires their state representative also must be submitted. Only the first 250 applications submitted will be considered. The PLBC plans to award at least 10 scholarships this year. Each scholarship will be $1,000. To obtain an application and more details about the program, students can visit www.pahouse.com/plbc and click on the Scholarships tab. If they have any additional questions about the PLBC Scholarship Program, applicants can contact Harris’ office at (717) 772-6955. The deadline to submit an application is Saturday, April 22, 2017.